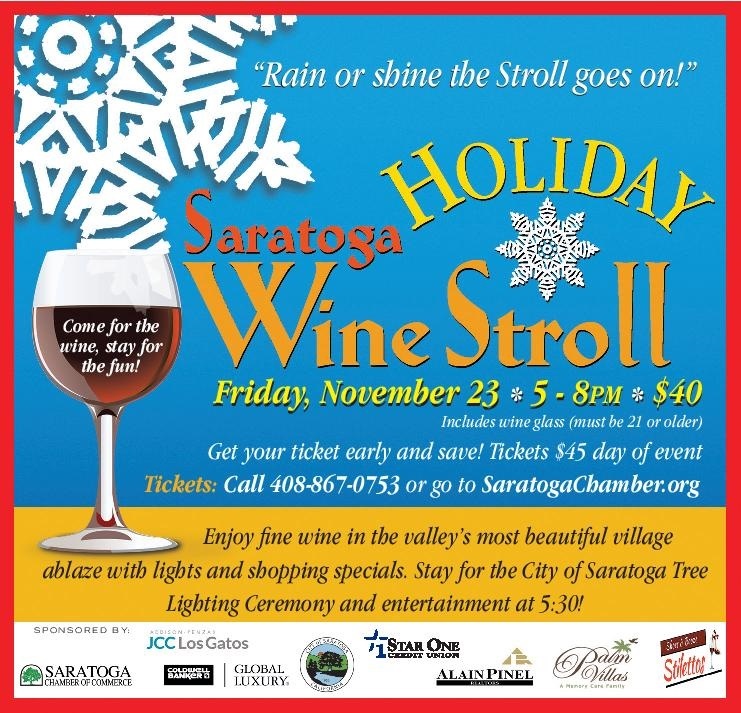 Join the celebration and enjoy fine wine and see the Saratoga Village come alive with musical groups, caroling, horse-drawn carriage rides, shopping specials, Father Christmas, Hanukkah Menorahs, holiday lights, and exceptional food and drinks. This holiday-themed event has become a favorite “opening ceremony ” for the holiday season. Tickets go on sale August 30, 2018. Tickets are $40.00 and will be $45.00 on the day of the event (based on availability).